You may remember my name from years on-air at radio and TV Stations in NYC and here on Long Island. Why now focus on pets? Love! I know…I’ve become one of those crazy pet parents, too. I have a pair of Jack Russell Terriers, sister and brother littermate, Sam and Dave. Now I’m mixing my radio and news reporting background with my passion for pets. 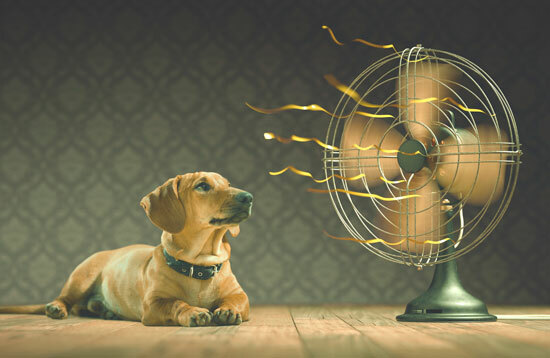 With the dog days of summer hotter than ever, we need to help our pets beat the heat. Actually it's a matter of life and death. With record-breaking temperatures on Long Island this year, it is very important to make the right decisions when it comes to protecting our pets. The ASPCA has just reported that the fatality rate of dogs dying from heatstroke after being left alone in parked cars has risen dramatically across the country. And, if you do decide to leave your pet in a hot car, even with the windows open, you could be charged with animal cruelty. It’s against the law in many states, including New York. So how to handle pets during this oppressive heat wave? For starters, think about this: We all do it…leave the dog in the car to run into the store for a quick minute. We figure that if the windows are open a couple of inches, and we hurry, he’ll be fine. It only takes minutes for the temperature inside of the car to jump 10 degrees in hot weather. Add the heat index, which has been 100 lately, with high levels of humidity and a furnace effect is created inside of our automobiles. While humans have sweat glands to regulate body temperature, our canine companions cool down by panting. It’s much less efficient than sweating, as explained in a recent article. Cruelty Alert: Pets Can Suffer Heatstroke if left alone in Parked Cars, published by the ASPCA. In only a short amount of time, a dog with a high body temperature can suffer critical damage to his nervous system, heart, liver and brain. At www.aspca.com, they also explain that it’s best to leave pets at home when it is excessively hot outside. Be sure to keep the air conditioning on and leave plenty of fresh water at all times. If a dog does experience hypothermia (overheating), the ASPCA suggests bringing the body temperature down by soaking him in cool, not ice water. Make sure water does not get into the mouth or nose of an unconscious pet, and seek immediate veterinary care. FUN WAYS TO ENJOY SUMMER: Exercise your pet during the coolest times of the day such as sunrise and sunset. Get a small pool for the backyard and fill it up with the hose…or take a ride to the local beach for a quick dip. Cooling beds are another great way to lower your pet’s body temperature. They are vinyl bends that you fill with cold water for your pets to lie on to cool down; they stay cold for hours. In the winter, fill with hot water to keep warm. COOL INTERACTIVE TOYS THAT FLOAT: One of our favorite water toys is Dog Savers. These colorful rubber life rings, retriever sticks and bones come in all sizes, with colors and flavors that match those of the human Lifesaver variety. They come complete with treat compartments, which makes it a fun interactive toy on land, too. HOLLY’S DOG TREAT OF THE MONTH: Three Dog Bakery’s Gracie’s Garden, all natural, 100% Sweet Potato slices are delicious. They also come in Apple and Banana, are low-cal and full of anti-oxidants. ON THE FELINE SIDE: Organic catnip rocks kitty’s box from Halo. Kiwi Peak makes an all-natural New Zealand Lamb Cat Treat that any cat will go crazy for. SHAMPOO OF THE MONTH: Our best green shampoos are by Tropiclean and Earthbath. Both are all natural, oatmeal and vitamin E based, and come in many varieties from papaya to aloe, with coat brightening and flea/tick prevention formulas. Tropiclean’s puppy shampoo is hypoallergenic, tearless and works well on dogs and cats of all ages. 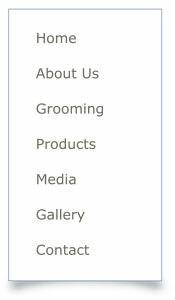 Let us know what topics you’re interested in and the products you recommend to other pet parents. Your comments are always encouraged at holly@petport.com.